Welcome to your 2018-2019 MinnDak District Board! Hello, Key Clubbers! My name is Peyton Wicklund and I am your newly elected District Secretary for the 2018-2019 Key Club year. I am honored to have the opportunity to serve on the District Board again and excited to work with each and every one of you this year! I am going to be a senior at Brainerd High School this fall, I play the cello in my school's chamber orchestra and I love to read. Aside form Key Club, I am involved in Class Cabinet, National Honors Society and YMCA Youth in Government. During my term as District Secretary, I am hoping to increase communication between clubs in our district and help clubs communicate with the District Board. I hope to have the District Directory finished as soon as possible for clubs to use to contact other clubs and hopefully arrange interclub meetings and events. I also plan to make adjustments to our monthly report form to further improve communication and make the reporting process as efficient as possible. Again, I am very excited to work with you all this year. Please let me know if you have any questions, my email is sec@minndakkeyclub.org. Hi Key Clubbers! I'm a junior, soon to be senior, at Mayo High School in Division 7c. I'm honored to serve another year as the District Treasurer, this time for the 2018- 2019 MinnDak board. Other than Key Club, I compete on my school's debate and speech teams in the fall and spring. I also play soccer and participate in Global Affairs club. I love dogs (and have two labs), hate the cold, and love whip cream. This year I look forward to bringing my past experiences into improving this position in its second year. I will focus on communication and effectively getting in contact with club level treasurers to properly distribute the necessary resources. I will also continue to keep financials organized so we can make the most out of the service year. As always, if anyone (treasurer or not) would like to contact me with questions or suggestions, please feel free to email me at treas@minndakkeyclub.org. I'm looking forward to a great Minndak Key Club service year! Hello everyone! My name is Suad Mumin and I am your newly elected Bulletin Editor. I'm so excited to put out good content for you all and learn so much more about how to do a good job as your BE. I am currently a senior at John Marshall High School, and last year I served as Liaison LTG for Division 3a. Outside of Key Club, I am apart of my school's Student Council (even next year's Student Body President! ), Relay for Life Board, March for Our Lives Committee, and Honor Society. I hope to attend college in the fall of 2019 and pursue a career in political science. In my free time I really enjoy drinking coffee, watching movies (and falling asleep during them), and having dance parties with my friend. If you have any questions, comments, concerns, or want to make a friend, feel free to contact me anytime! Hi, my name is MiKyla Brix and I am the liaison for division 1. I am currently a sophomore, soon to be a junior at West Fargo High School. I enjoy playing guitar and clarinet. This year I have been involved in Key Club and my school's literary magazine, Exprimere, in which I do editing and formatting. I aim to increase communication among the clubs and board members, and work on inter-division projects. I want to encourage messaging and monthly phone calls if the opportunities are presented. I intend to communicate with fellow board members and LTG's to create more combined projects when able. I am greatly looking forward to serving Key Club International, doing my best on the district board, and working with all of the amazing Key Clubbers! Please feel free to contact me at division1@minndakkeyclub.org. Hi! My name is Azra Kovacevic. I am 16 years old, turning 17 on October 3rd. I live in Fargo, ND, and I go to school at Fargo South (Go Bruins!). So, I am your LTG for District 2. My goals are, to have a great connection with the key clubs presidents in district 2, and make sure I know what is happening in their keyclub, how was the experience, and so on and so forth. I will be glad working with the people in district two, and the other board members! Some facts about me, is that I am Bosnian, and have visited four times and get to go again this summer. I also love the summer time! Getting a nice tan, drinking a cold beverage, hanging out with your friends, and most importantly, no stress! Anyways, I hope I will have an awesome time being your LTG for division 2, thank you! Hello! My name is Kenzie Hoffmann and I am your Division 3A Lieutenant Governor. I am a Trumpet and Bass Clarinet player, National Honors Society member, Youth in Action Leader, German Speaker, and Speech Team Captain. I also volunteer outside of the club, and have a part time job tutoring a second grader. This is my fourth year in key club. The reason I keep coming back to it year after year is that I believe that public service is how a community grows. If had to pick, I would say my favorite Key Club Project is College 4 Kids because I enjoy working with children. They inspire me to think outside the box, get creative, and solve problemsnon-traditionally. As Division 3A's Lieutenant Governor, my main goal is to increase division attendance at district events. I plan on achieving this goal by displaying my enthusiasm in person, and over social media. I would like to increase Kiwanis family bonds and establish a divisional project to build interclub relations. Hello Key Clubbers! My name is Amy Ulanowski and I am the LTG for Division 3b. I am very excited for the opportunity to serve on the District Board. I am looking forward to another great year in Key Club, this time serving as the LTG for Division 3b. This year I would like to increase and facilitate easier communication between the district and individual clubs. This will increase our ability to connect between clubs and the district, along with increasing club involvement and attendance at district events. I will be a Senior this fall at Brainerd High School. I enjoy playing the clarinet in band, along with marching band and pep band. Last summer I went on band tour to Washington D.C. In the winter I like to go downhill skiing with my family. I spend the majority of my freetime with my horse, Shawkia. I also enjoy baking and am always trying new recipes, mostly because I love eating sweets! Hi there! My name is Anne Lougheed and I am so excited to be the liaison for division 4 during the 2018-2019 year. I am a sophomore at Fargo South High School and enjoy dancing, singing, writing, and running in my free time. I am a very bubbly and focused person who loves talking others who share the same passion about service as I do. I am a person who easily adapts to new situations as I encounter them, and as liaison I am ready to face any obstacles that come in my way. My goals this year are to improve club relationships and clearly communicate all needed information while still coming back to our main goal of helping others. If you have any questions, feel free to contact me at division4@minndakkeyclub.org. I am eager to see what lies next for me as the liaison of division 4! Hey Minndak! 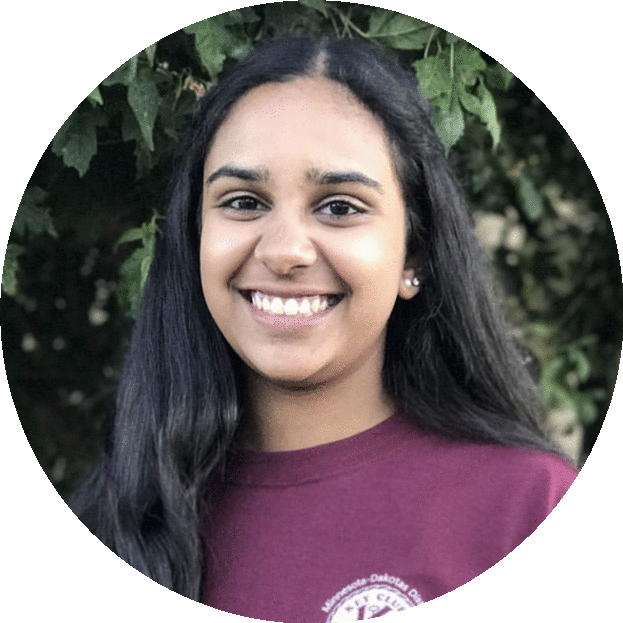 My name is Ranjani Hariharan (feel free to call me Jeni), and I'm very excited to be Liaison of Division 5 during the 2018-19 year! I am currently a junior at Woodbury High School, and I am looking forward to another year of amazing service! I began my Key Club journey in my freshman year, during which I was the freshman grade representative. I later went on to be Lieutenant Governor of Division 7B during my sophomore year. I am fortunate to have earned the Presidential Volunteer Service Award, based on my service in the fields of healthcare, education, and community service. Apart from Key Club, I am a dedicated Indian Classical Music singer. I am also a part of my school's National Honor Society chapter, Science Olympiad, tennis team, and more. Hey, my name is Serena Mobley and I am your LTG of Division 6 for the 2018-2019 year! I am currently a Freshman soon to be sophmore in high school. I am part of my schools Cross Country Team, Musical, Speech team, Track and Field, Student Council, Chior, Orchestra, and of course Key Club! I am so exited to talk, learn, and work with all of the new and amazing Key Clubbers that I plan on meeting in the coming year! My goals for the coming year being in the position of LTG are to work on increasing communication between clubs around my division and to increase how known Key Club is as a whole. I choose these goals because being a member of a club I have realized that those are the things that have troubled me the most. I plan on achieving these goals by putting in the work and time needed because without an effort from me these things can never be accomplished. I look forward to working with each and everyone of you! Please feel free to contact me at division6@minndakkeyclub.org. in the Minndak District. My name is Madison Thompson and I’m currently a freshman at Fridley High School. This is just a quick introduction so that we can get more acquainted with each other! 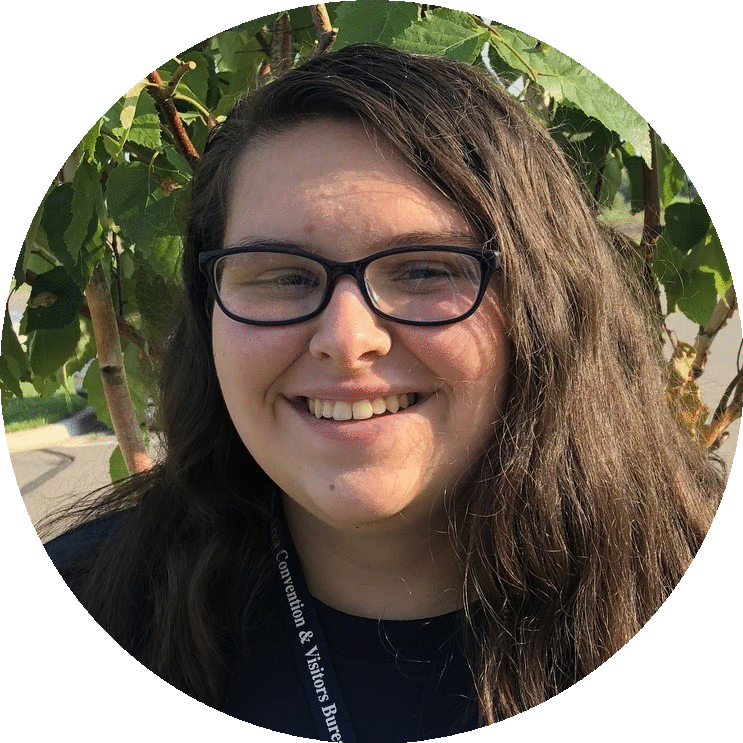 Outside of key club, I enjoy hanging out with family and friends, reading books, traveling to different places, and playing ukulele. Friends and family are very important to me, and doing almost anything with them is time well spent. English is probably my favorite subject in school and I really like to chill and read a book once in a while. Ukulele is a small pastime of mine, and traveling is something that I would love to do more in the future. Overall, my favorite thing to do would be helping out others around me. Whether that be my community or just friends and family, helping others is a big passion of mine. Key club is the perfect club for me and I hope to continue my act of service. That’s why I look forward to working with everyone this year and making it one of the best years of service yet! Hope to get in contact with you soon! Hi everyone my name is Kieran White and I am the 2018-2019 Lieutenant Governor for Division 7b. As LTG this year I really want to continue to improve relations and communication between my division and the district board. Another one of my goals is to increase attendance at district events. Personally, going to District Convention and Fall Rally has inspired me so much in the service that I do and I want to encourage all members from my division to experience these events. My final goal is to host more division wide events that bring together my whole division in social and service based settings. A single club can make a change, but multiple together can do so much more. Personally I am one busy girl. I run Cross Country and Nordic Ski for my school. I also work as a downhill ski instructor in the winters. Outside of Key Club I also participate in National Honors Society, Link Crew, and Model United Nations. In my free time I love to read, go on walks, and adventure around the Cities with my friends. My favorite TV show is How I Met Your Mother, my favorite color is yellow, and one day I dream of living in the mountains and travelling the world. A final fun fact about me is that I love to write poetry, I can’t promise it’s any good but I still do it anyways. Hello everyone! My name is Tam Nguyen and I will be your Lieutenant Governor of Division 7C for the 2018-19 year! This fall, I will be senior at John Marshall High School in Rochester, MN. It will also be my fourth year as a member of the Key Club community. Besides Key Club, I am involved in Student Council, JM Honor Society, and Relay for Life. In my free time, I enjoy volunteering, trying new foods, traveling, and taking the occasional nap. I look forward to making club visits and meeting members of Division 7C this year! I would also love to see Division 7C Key Clubbers at district events such as Fall Rally and DCON! This year my goals are to create a solid line of communication between myself and Key Clubs within my division, as well as encouraging more participations at the district events. If you have any questions, suggestions or comments, please contact me at division7c@minndakkeyclub.org. I am very excited to to be your LTG this year and can’t wait to get to know all of you!